we wanted to do something active in the country side. In the absence of the natural apex predators, such as Lynx, wolf and bear, deer are now threatening to become a serious nuisance in some parts of the country. Deer have co-evolved with predators which have now been eliminated, so the deer are at risk of 'eating the bottom out' of British Woodlands; preventing the natural regeneration of trees for future generations. This creates a need for culling of selected deer but it needs to be done in a way that is safe and humane. Consequently, we have been on courses and obtained relevant qualifications, having been taught by experienced deer stalkers. 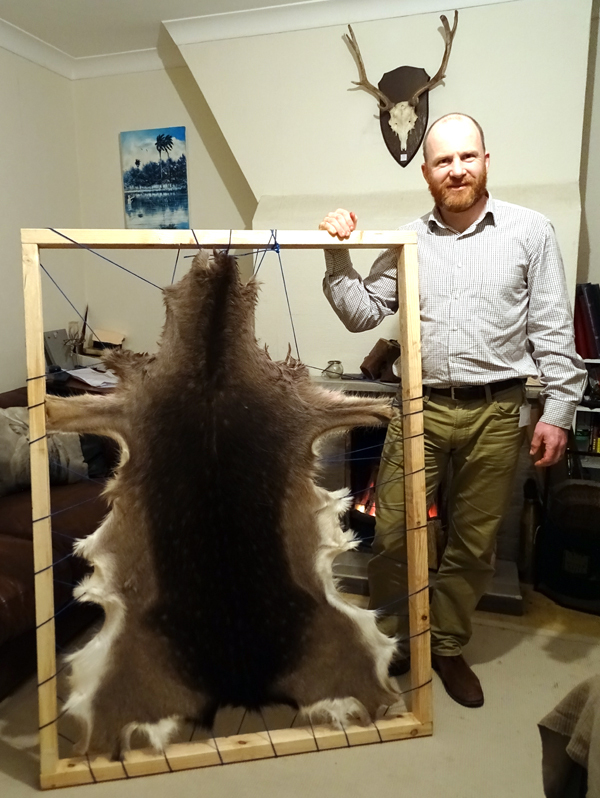 Not only do we eat or give away all the venison resulting form our stalking but many of the hides are conserved. One advantage of managing the deer population is that by stopping the population becoming too large, we reduce winter starvation of deer. Another benefit of a lower population is that it reduces road accidents, these are often fatal to both animal and human. Overpopulation of deer is very common is all regions of the UK threatening not just trees but also the habitats of ground nesting birds, butterflies, bees and biodiversity in general. 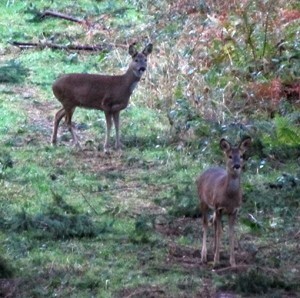 In the UK we have six species of deer that occur in the wild. Roe and red are true ‘originals’, while fallow were introduced so long ago (by the Romans) that they are now considered a native species. That leaves Sika, muntjac and Chinese water deer all of which are considered to be invasive species and are contributing to the problems of overpopulation, damage to crops and overgrazing of woodlands. 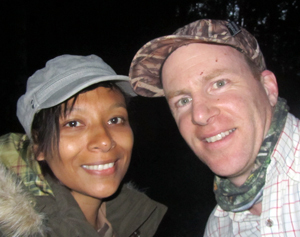 With Roxanna, I spend as much time "shooting deer" with the camera as with the rifle and we are always keen to share our knowledge and experience with others. I have contributed to the British deer Society’s magazine aptly named ‘Deer’ and am available to help with any deer-related questions that woodland owners may have about managing deer in their woodland. Good to read this! I’m sure you don’t need to do more reading but try Colin Elfords book “A Year in the Woods”. What’s it like to go on a deer management course?